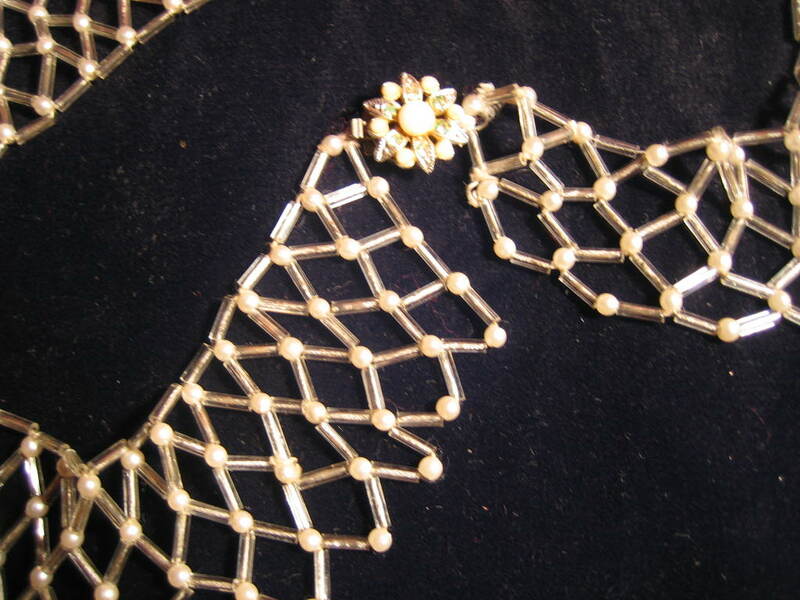 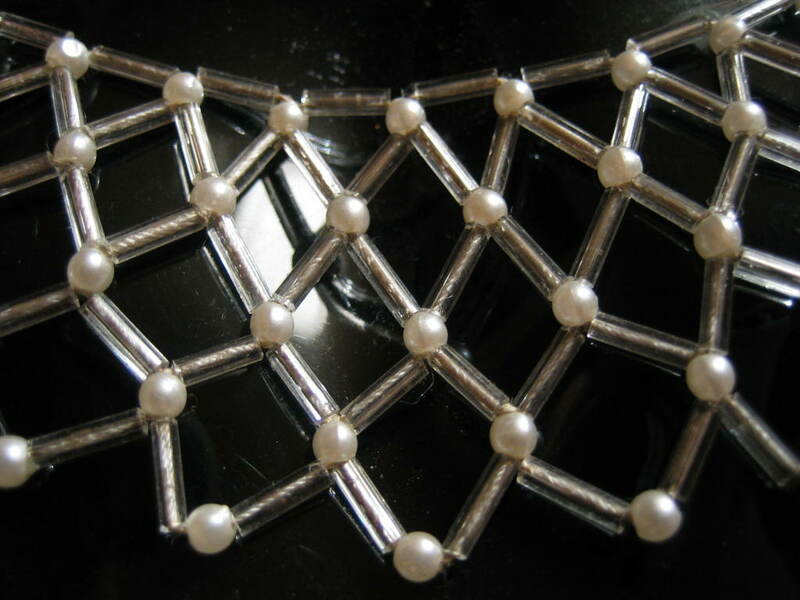 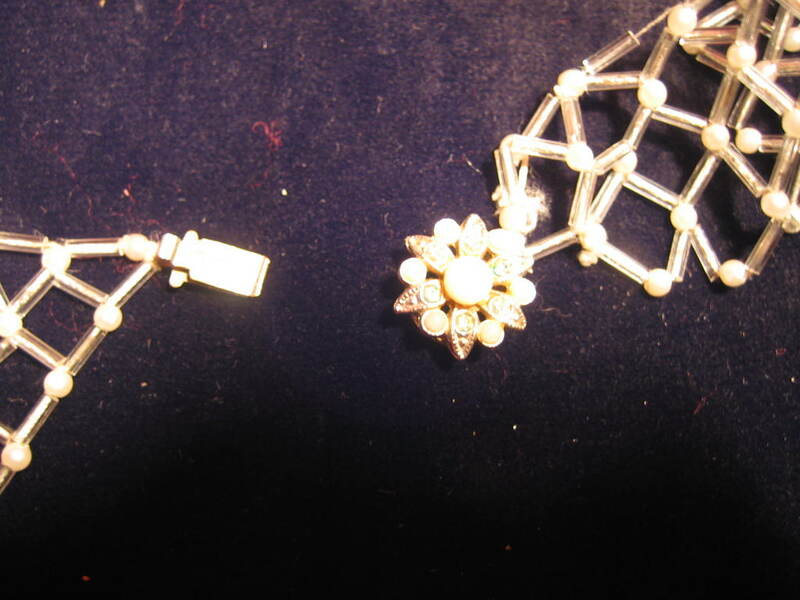 Vintage 1940s/50s pearl spiderweb collar. 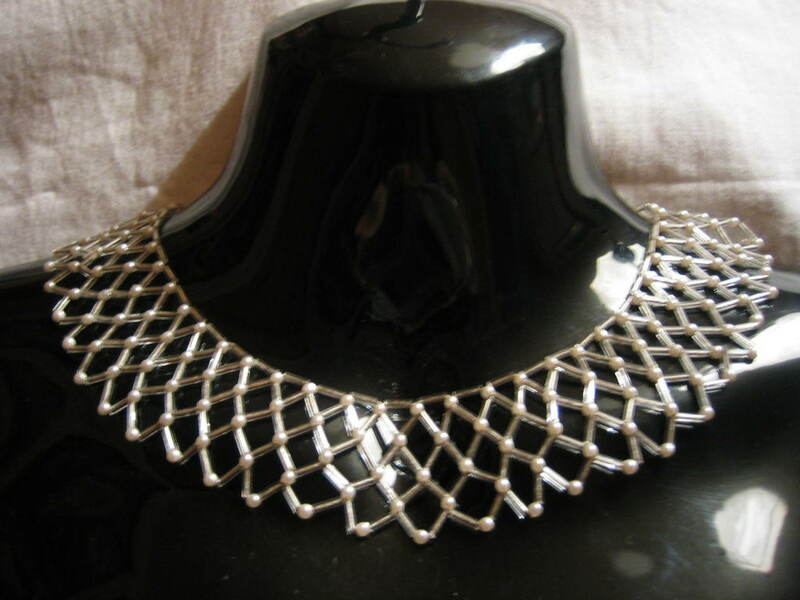 This is a really pretty little spiderweb collar of faux pearls and beads, designed to sit upon, and draw attention to, the collar bone - is there no end to the number of female body parts for men to admire? 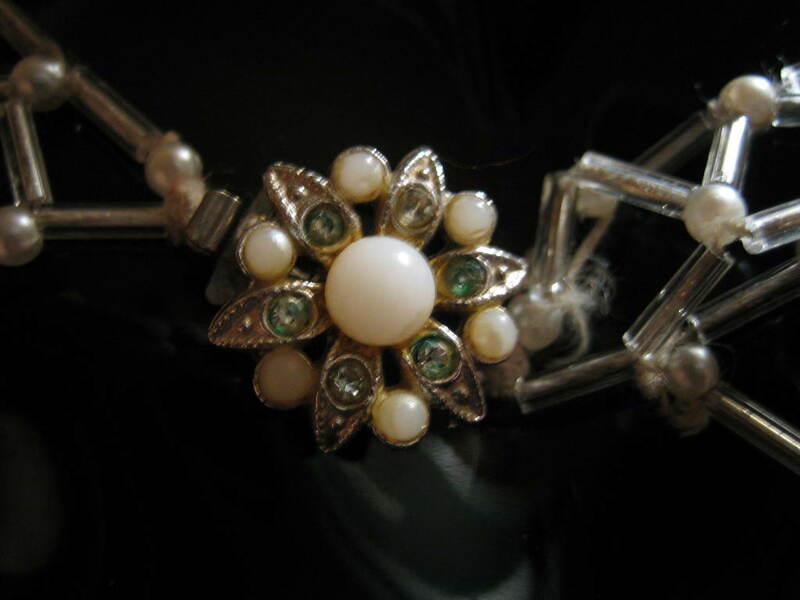 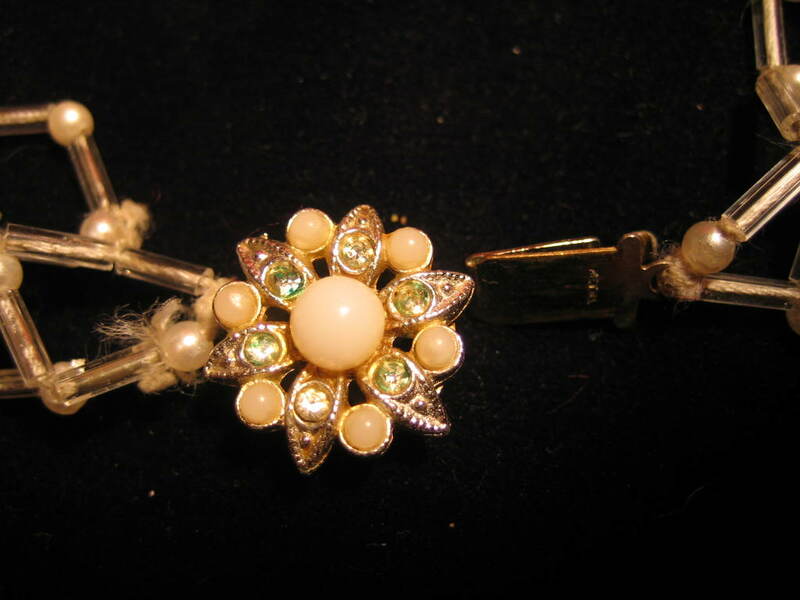 And, in this case, this extends to the back of the neck - even the clasp is pretty!